IAU’s January Term Traveling Seminar is designed for students interested in an academic and cultural experience in France, England, the Czech Republic, and Italy. Students explore major cities across Europe using literature and the arts as a guide to understanding the rise and establishment of the urban setting. Through readings and media studies, students examine the artistic process from inspiration to creation. Site visits and guided tours then allow students to experience the historical, geographical, and demographical foundations that inform the fictional representations of European cities and their impact on perceptions of those cities today. Students have the opportunity to learn from and exchange their observations with experts from IAU as well as distinguished on-site scholars and local guides in order to frame their own perception of the cities and these cities’ representation through the arts. Dr. Leigh Smith has lived in Provence since 1999 and has worked in the field of study abroad since 1998, beginning with his first work with the University of North Carolina’s Paris program while still a graduate student. While working there as on-site assistant to the program director, he met his future wife and eventually returned to France. He and his wife settled in Provence where their three children were born. He completed his dissertation while abroad and received his Ph.D. in comparative literature. He has since gone on to teach at the Université de Paul Cézanne and at the Université de Provence in Aix and in Marseille. His first position in Aix was as academic advisor with the American University Center of Provence. 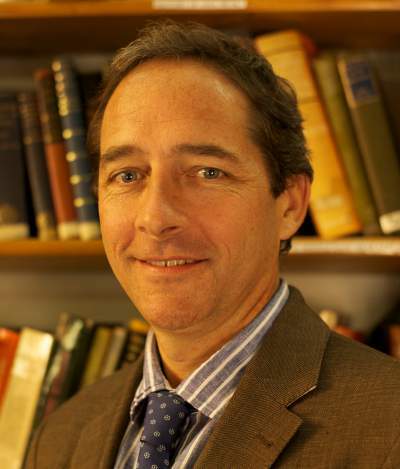 He has taught courses in literature and French culture at the IAU since 2005. He served as interim director of The Aix Center over the 2008-2009 academic year and assumed the role of Academic Director at IAU in April 2011.